UC San Diego-Center for Community Health Worksite Wellness Program supports Goodwill designation and health fair. 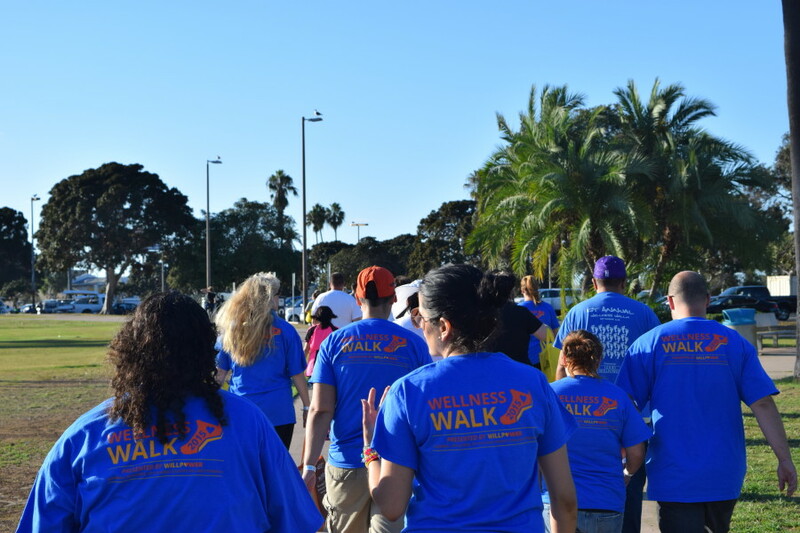 The temperature was warm, but the soles of Goodwill Industries of San Diego County employees were warmer as they embarked on their annual Wellness Walk around Mission Bay on Wednesday, September 16, 2015. Goodwill employees had more than their walk, games, giveaways, and activities to be excited about though. Goodwill Industries of San Diego County became an official Live Well partner, acknowledging Goodwill’s hard work and commitment towards building a robust wellness program for their employees. The Worksite Wellness Program has been working closely with Goodwill Industries for over 3 years and in that time has helped contribute to Goodwill’s development in regards to their fantastic wellness program. The Worksite Wellness Program congratulates Goodwill Industries of San Diego County for their official Live Well Partner designation and for being one of the top worksites the Worksite Wellness Program has the pleasure to work with. To find out more about the Worksite Wellness Program read more here. Next Article: Growing Health at Altman Plants, Inc.